If an asteroid struck Earth, which of its effects—scorching heat, flying debris, towering tsunamis—would claim the most lives? A new study has the answer: violent winds and shock waves are the most dangerous effects produced by Earth-impacting asteroids. The study explored seven effects associated with asteroid impacts—heat, pressure shock waves, flying debris, tsunamis, wind blasts, seismic shaking and cratering—and estimated their lethality for varying sizes. The researchers then ranked the effects from most to least deadly, or how many lives were lost to each effect. Overall, wind blasts and shock waves were likely to claim the most casualties, according to the study. 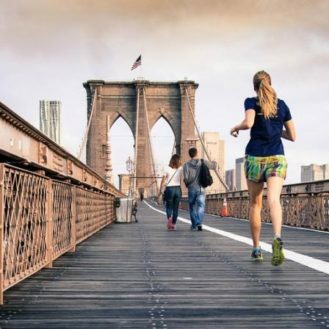 In experimental scenarios, these two effects accounted for more than 60 percent of lives lost. Shock waves arise from a spike in atmospheric pressure and can rupture internal organs, while wind blasts carry enough power to hurl human bodies and flatten forests. 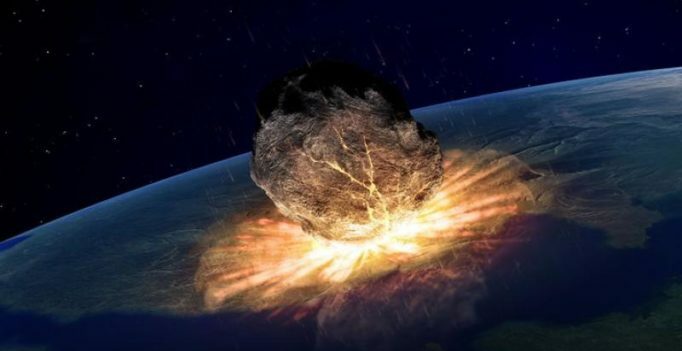 “This is the first study that looks at all seven impact effects generated by hazardous asteroids and estimates which are, in terms of human loss, most severe,” said Clemens Rumpf, a senior research assistant at the University of Southampton in the United Kingdom, and lead author of the new study published in Geophysical Research Letters, a journal of the American Geophysical Union. Rumpf said his findings, which he plans to present at the 2017 International Academy of Astronautics Planetary Defense Conference in Tokyo, Japan, could help hazard mitigation groups better prepare for asteroid threats because it details which impact effects are most dominant, which are less severe and where resources should be allocated. Though studies like his are necessary to reduce harm, deadly asteroid impacts are still rare, Rumpf said. Earth is struck by an asteroid 60 meters (more than 190 feet) wide approximately once every 1500 years, whereas an asteroid 400 meters (more than 1,300 feet) across is likely to strike the planet every 100,000 years, according to Rumpf. 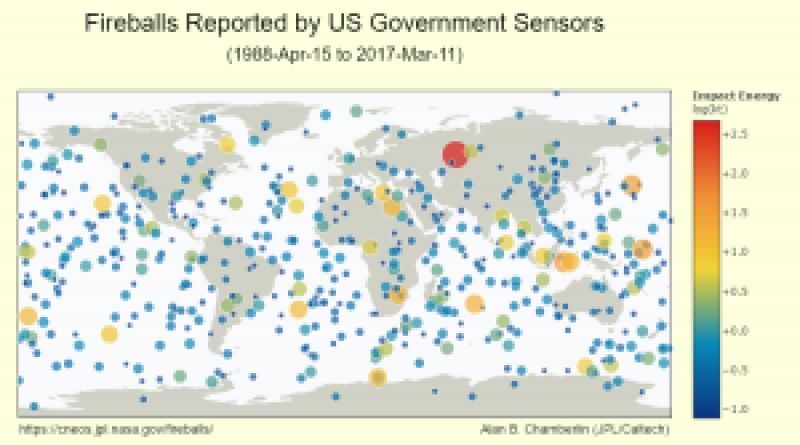 Rumpf and his colleagues used models to pepper the globe with 50,000 artificial asteroids ranging from 15 to 400 meters (49 to 1312 feet) across—the diameter range of asteroids that most frequently strike the Earth. The researchers then estimated how many lives would be lost to each of the seven effects. Land-based impacts were, on average, an order of magnitude more dangerous than asteroids that landed in oceans. Large, ocean-impacting asteroids could generate enough power to trigger a tsunami, but the wave’s energy would likely dissipate as it traveled and eventually break when it met a continental shelf. Even if a tsunami were to reach coastal communities, far fewer people would die than if the same asteroid struck land, Rumpf said. Overall, tsunamis accounted for 20 percent of lives lost, according to the study. The heat generated by an asteroid accounted for nearly 30 percent of lives lost, according to the study. Affected populations could likely avoid harm by hiding in basements and other underground structures, Rumpf said. Seismic shaking was of least concern, as it accounted for only 0.17 percent of casualties, according to the study. Cratering and airborne debris were similarly less concerning, both garnering fewer than 1 percent of deaths. Only asteroids that spanned at least 18 meters (nearly 60 feet) in diameter were lethal. Many asteroids on the lower end of this spectrum disintegrate in Earth’s atmosphere before reaching the planet’s surface, but they strike more frequently than larger asteroids and generate enough heat and explosive energy to deal damage. For example, the meteor involved in the 2013 impact in Chelyabinsk, Russia, was 17 to 20 meters (roughly 55 to 65 feet) across and caused more than 1,000 injuries, inflicting burns and temporary blindness on people nearby. “This report is a reasonable step forward in trying to understand and come to grips with the hazards posed by asteroids and comet impactors,” said geophysicist Jay Melosh, a distinguished professor in the Department of Earth, Atmospheric and Planetary Sciences at Purdue University in Lafayette, Indiana. 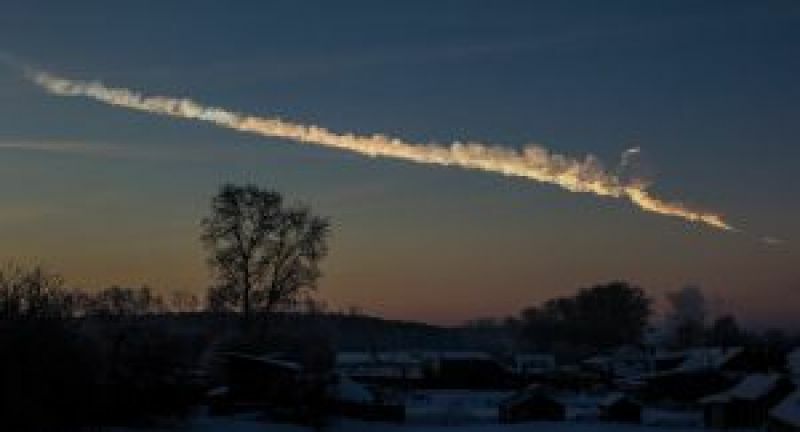 Melosh, who wasn’t involved in the study, added that the findings “lead one to appreciate the role of air blasts in asteroid impacts as we saw in Chelyabinsk.” The majority of the injuries in the Chelyabinsk impact were caused by broken glass sent flying into the faces of unknowing locals peering through their windows after the meteor’s bright flash, he noted. The study’s findings could help mitigate loss of human life, according to Rumpf. Small towns facing the impact of an asteroid 30 meters across (about 98 feet) may fare best by evacuating. However, an asteroid 200 meters wide (more than 650 feet) headed for a densely-populated city poses a greater risk and could warrant a more involved response, he said.